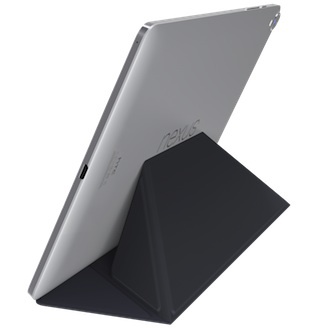 We're no strangers to the Nexus 9's Keyboard Folio accessory. After posting an exclusive look at its technical drawings, then seeing it pass by the NCC, we were treated to a few renders along with the Nexus 9's announcement and then spotted it in the flesh in Vietnam. However, if you went to the Play Store expecting to pre-order an HTC Nexus 9 and its case, you must have been disappointed to find out that the latter is still marked as "coming soon". Well, Amazon has you covered if you're worried about getting your new tablet and not having that sweet typing machine to prop it up on. 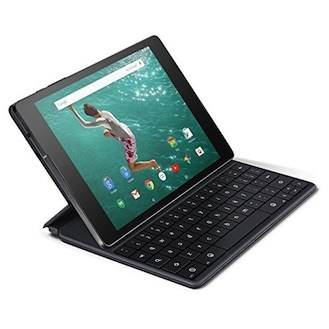 The Keyboard Folio is available for pre-order on Amazon right now for $129.99 (99 cents more than the Play Store), and is said to be released on November 3rd, just in time for your new Nexus 9. 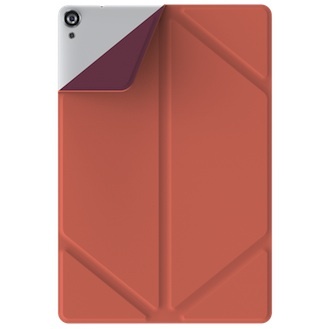 The folio case attaches magnetically to the back of the tablet and pairs with it via Bluetooth. 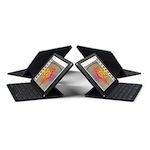 Closed, it works as a regular case, but open, it can become a dual-angle stand and a mechanical Bluetooth keyboard with up to 5 months of battery life. 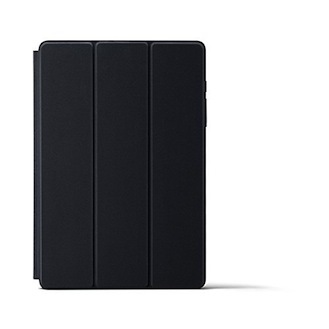 At $129.99, the Keyboard Folio isn't cheap — and that's not to mention that not everyone needs a physical keyboard — so there's another more affordable solution for protecting the Nexus 9. 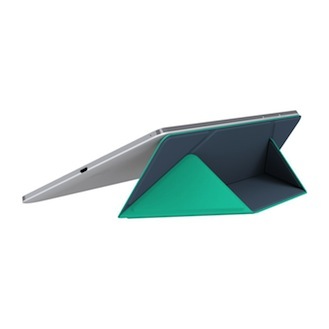 The Magic Cover is an origami-inspired magnetic cover that unlike most similar cases, can go on the front or the back of the tablet to protect it in various situations. 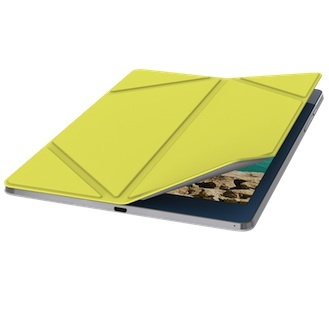 It folds to prop the tablet at two different angles, wakes the Nexus 9 when it's flipped open, but most impressively, it has the magical power to start the camera just by opening the flap that covers it when it's on the back. Amazon has the Magic Cover for pre-order at $39.99 (also 99 cents more than the Play Store) with a release date of November 3rd. It comes in four different colors: black, coral amethyst, lime stone, and my personal favorite, mint indigo.